1. You believe that together we can do amazing things. You understand the power of design for good. We’ve already proven that design can bring about positive change to communities, and we’re always looking for new ways to give back. 2. The end of the year is almost upon us. Has your accountant been asking what else you can write off? AIGA is a non-profit organization, so your membership dues are tax deductible. 3. Learn more about design and build your skills. We’ve got a whole season of exciting programming coming up, including big-name designers giving talks, skills-based workshops, drink and draw socials, professional grant and scholarship competitions, and we’ll wrap up the season in June with a gala. 4. We have membership levels for every stage of your career. And with discounted member pricing at all of our events, your membership will pay for itself in no time. Even quicker than before, since non-member pricing will go up in January. 5. Tons of volunteer opportunities. Meet people, develop your skills, or throw your hat in to try something completely new. AIGA is a volunteer-run organization, and we need your help – as mentors, to help run events, to write blog posts. Have another idea? Hit up Karl, our Volunteer Chair. 6. A community of like-minded individuals. Whether you’re new to Denver or you’ve been here for years, plugging into your local creative community brings inspiration. 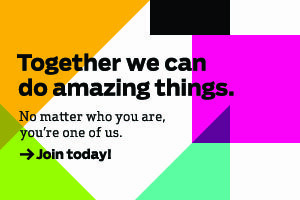 As an AIGA member, you’ll also connect to the world’s largest professional association for designers – a national association with more than 25,000 members in 68 chapters, and running 100 years strong. 7. Never pay full-price for Creative Cloud. 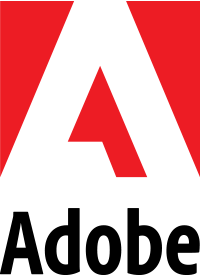 Supporting members and above receive discounts on Adobe products, and all members receive access to group healthcare, as well as discounts at Apple, Shutterstock, FedEx, and on select books and magazines. Lots of other perks too, check our list of member benefits. 8. Join a community that is home to some of design’s biggest rockstars. The late Massimo Vignelli, Michael Bierut, Kit Hinrichs, Paula Scher, Clement Mok, Jessica Helfand, Milton Glaser, and many more. 9. Give young designers a hand up. Review portfolios, mentor a student, run a workshop at a school design program, help bring design thinking to high school and elementary students. 10. …And as many individual reasons as we have members. But don’t take our word for it. Check out Because of AIGA. Don’t wait – join AIGA today!